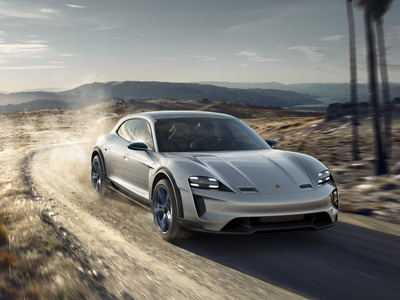 PorscheThe Porsche Mission E Cross Turismo. Porsche unveiled the new Mission E Cross Turismo at the 2018 Geneva Motor Show. The Cross Turismo is an all-electric crossover wagon designed to take on the Tesla Model X. The Porsche can to 60 mph in less than 3.5 seconds. The Cross Turismo’s battery pack can be charged up with 249 miles of range in just 15 minutes. Porsche is set to do battle with Tesla for supremacy in the world of high-performance electric vehicles. The automotive wing of Elon Musk’s empire’s string of hits including the Model S luxury sedan, Model X crossover SUV, and the Model 3 mainstream sedan. On Tuesday, Porsche introduced Mission E Cross Turismo at the 2018 Geneva Motor Show. It is the latest model to enter the fray on behalf of the Stuttgart, Germany-based sports car and SUV specialists. 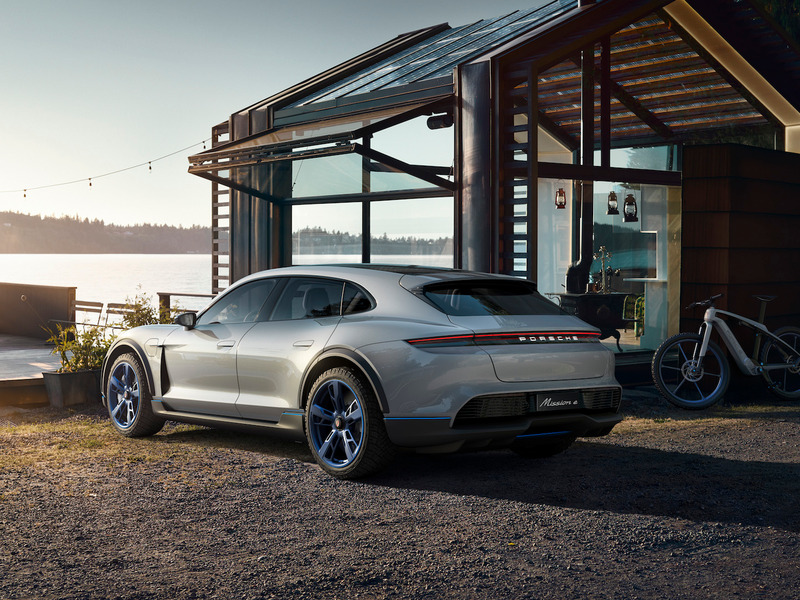 Like the ground-breaking Model X, the Porsche Mission E Cross Turismo is a crossover wagon with extra ride height. 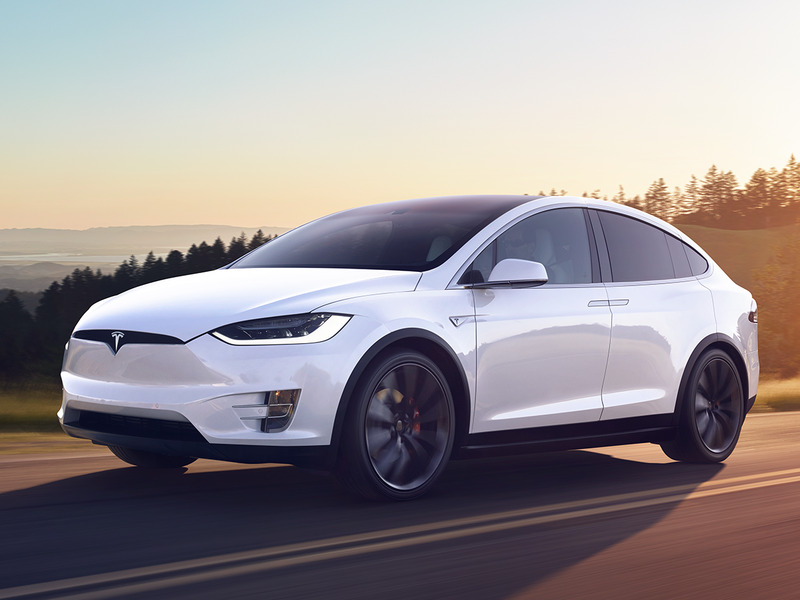 Both are based on existing high-performance electric sedans – the Tesla Model S and the Porsche Mission E. Unlike the Model X, the Cross Turismo won’t be able to deliver as much utility. The Porsche will have room for four or five occupants as opposed to the seven the Tesla can hold. We don’t yet know everything about the car. But at first glance, the Porsche’s specs are pretty impressive. The Cross Turismo has a range of more than 311 miles on a single charge which is on par with the Model X. 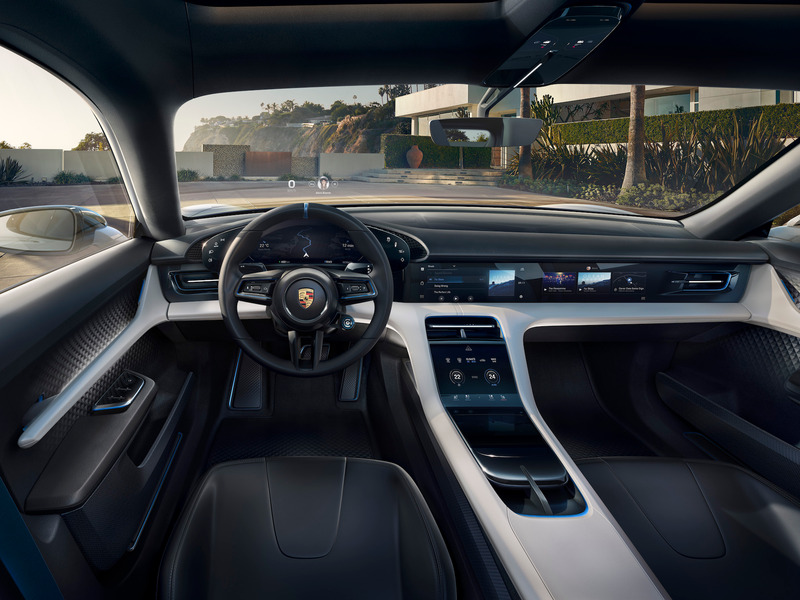 However, Porsche’s 800-volt charging architecture allows the Cross Turismo to charge up to 249 miles of range in just 15 minutes, something Tesla’s 400-volt Supercharger system can’t do. The most high-end Tesla, the Cross Turismo features twin electric motors, one for the front axle, one for the rear. This gives the Porsche more than 600 horsepower and the benefit of virtual all-wheel-drive. The result is 0-60 mph in less than 3.5 seconds and 0-124 mph in under 12 seconds. That’s not quite as quick as the top-of-the-line Model X P100D. The Porsche is also equipped with four-wheel steering and an adjustable air suspension that can raise or lower the Cross Turismo by two inches. In February, Porsche announced that it will spend $US7.4 billion on electric mobility by 2022. Included in this spending plan is $US620 million for the development of Mission E electric vehicles including the Cross Turismo.